Mashed potatoes! If I’m ever on Death Row, I’m going to request a giant bowl of mashed potatoes for my last meal. No one would be able to judge me, either, because, hello? I’m on Death Row. I’ve clearly already made some decisions that were much worse than ordering a meal consisting entirely of carbohydrates. Pie! Cake is pretty good, but it can be dry. Cookies are up there, but they take too long to bake. I don’t even know what’s going on with muffins (Are you a cupcake? Are you a dinner roll? You can’t be both, muffins.) Pie has no faults. It’s the perfect dessert. My entire extended family wearing sweaters like they’re some kind of standard-issue, white person uniform! 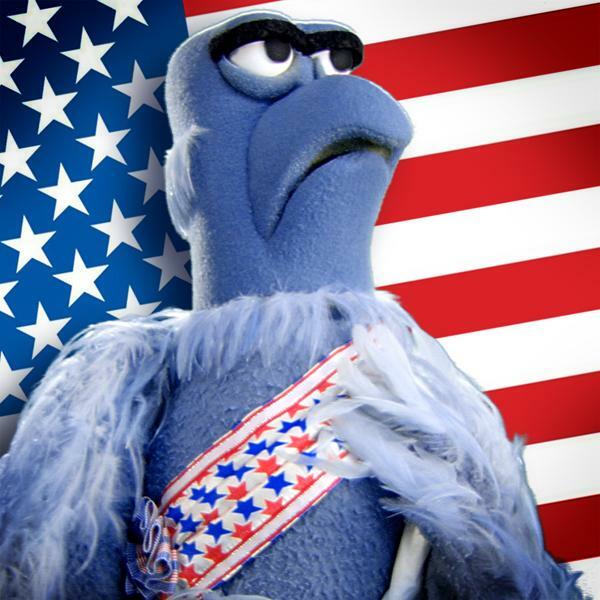 America! Every morning when I read the news, America gives me another really good reason to hate its stupid guts. And every morning I look America deep in the eyes and I say, “I know you, America. You are faulty and you are beautiful. I’m conflicted, but I will always love you.” Then I put on a Bruce Springsteen song, turn it all the way up and think about presidents. I wish that was a joke. That’s why Thanksgiving is hands-down, 100% the best holiday of all time. It’s got potatoes and pie. It’s got America. Oh boy, does it have sweaters. Christmas turns me into a Grinch of the worst kind and Valentine’s Day fills me with confusion, but on Thanksgiving, I’m in my element. Eat all the food? Don’t mind if I do! Bring out more dishes to avoid all conversations about my life since college? Gladly! 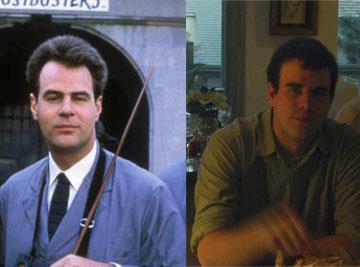 Mercilessly tease my brother about how his receding hairline will someday make him look exactly like Dan Aykroyd? I was born for this. Every few years, though, my grandma throws off my Thanksgiving groove by requesting a family photo. She always snaps at least one or two pictures of all the grandkids, but we haven’t done a formal one with the whole family and a real photographer in nearly 10 years. Last week, word came down from on high that Family Photo: Thanksgiving 2013 Edition was a go. I could feel the rest of my family cringing from 900 miles away. 2. My family is naturally photogenic, with some exceptions. In my defense, the last family portrait captured me in the throes of puberty. Since then, I think the more beautiful members have noticed my camera-induced failings and have been doing all they can to help. On my 17th birthday, my grandma gave me a book called The Lady who Was Pretty on the Inside and a bag of makeup. I’m still trying not to read into that one. 3. Because I know the portrait will probably make an appearance in someone’s Christmas card, there’s suddenly a lot of pressure that’s not present in casual snapshots. One of the kids I used to babysit is getting married next year! What am I bringing to the table? Does this face say, ‘I have a degree and a job?’, I start to think. If I point my chin at this angle, does it adequately convey how well-adjusted I am compared to everyone else on every other Christmas card? That’s a good way to end up with crazy eyes and a prominent forehead vein. 4. My grandma always requests that everyone wears matching clothes, presumably to reassure strangers that we all know each other. I understand that it’s an aesthetic choice. All I’m saying is that it’s pretty easy to guess that a large group posing together in an awkward portrait on someone’s wall is a family, even if they’re all wearing mismatched clothes in which they feel attractive. 5. Posed photos always look weird to me. In real life, I’ve never seen my dad sit on a staircase with his hands tucked neatly on his knees, straining his neck muscles because he’s trying to smile with his mouth closed. Frankly, if I came around a corner one day and saw him doing that, it would kind of creep me out. Nevertheless, that’s exactly how the photographer asked him to pose in the last family portrait we took and now I’ll always have a picture of my dad looking incredibly uncomfortable on a staircase. Ungainly poses and weird clothing choices are the nature of the family portrait beast, I guess. It’s not my favorite tradition, but I accept it because it’s the only way we’ll ever be in one picture together without extensive Photoshopping. At least you can tell we all like each other. I’ll probably never get a photo of my family like they really are, having a good time and thinking about America and pie over Thanksgiving dinner, but this year I’m going to try. Hopefully I’ll get one while they’re laughing with their mouths full. Hold on. What’s this? A text from my mom? It’s weird, because we never do anything with them, just have them on the computer. I think it’s our attempt at charting time and how we’ve changed and stuff but it mostly just revolves around “That Christmas when Ben had awful hair”, “That Christmas Miriam had no hair”, “The year we pretended we could all still fit on the sofa when we really couldn’t” and the crowning glory, “The year Miriam was so ill she was barely upright and yet you still made her be in the picture and she looks totally stoned from all the painkillers”. That year was a pretty horrific Christmas generally, since I was mega ill. Since we stopped fitting on the sofa, we mostly take them on the stairs now. So, like you, I have awkward father-person-on-stairs photos. On the upside, I can pretend to be tall by standing a step or two above my sister — that makes us about the same height. I’m constantly amazed that most people (including me) cannot have a picture taken of them that looks anything like they really look. I used to date this beautiful girl but I could never take a picture of her (for proof???) where she didn’t come out looking like bozo the clown. I couldn’t even have a picture of her on my desk at work. And she never even knew. Awww why no family photos?! So true, all of it. My husband has finally talked me off the ledge regarding family pictures… apparently, I will be dead one day and the kids will need to remember what I look like. Now I just grit my teeth and remember that I’m doing it for the kids! I hate posed photos. I have never taken a decent one in my life. All of my good pictures are candid. With every post, I feel a certain connection: I have a prominent forehead vein. It sticks out when I least expect it. I hope those mashed potatoes come with gravey. Mmmm. Gravey. Family photographers make you do some really bizarre poses. They must have all been raised in some cult where siblings have to stand next to each other with their hands on each others shoulders, looking the same direction and holding fake smiles for hours. – ALSO LOVE MASHED POTATOES AND PIE.